I found this on clear vinyl at Taang! Records in San Diego. So happy, great record! Any chance of a reissue of the 7"? how many of these were released on vinyl, and how many are clear? I think I have this 7" on clear vinyl. I will have to try and find it. 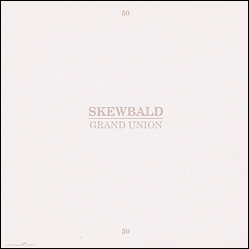 Two songs by Skewbald/Grand Union, released in 1991. This 7 inch is out of print. However, the songs are available on CD-EP and MP3 format.